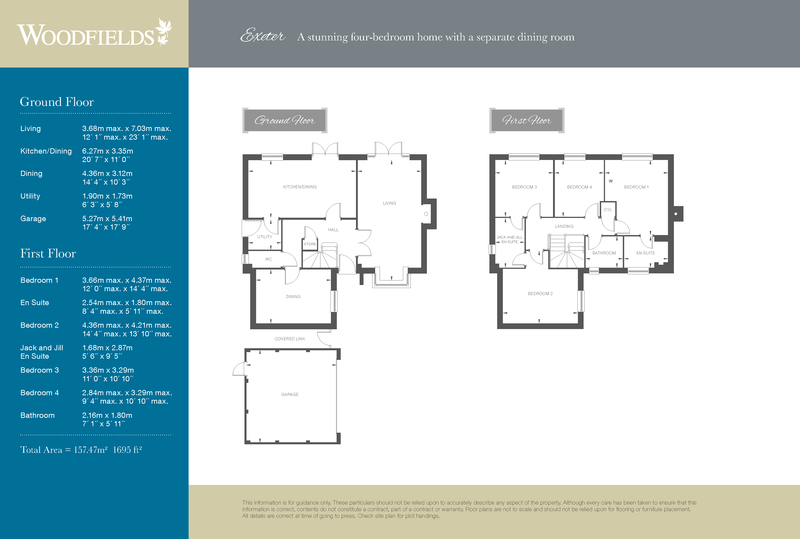 The Exeter is a four bedroom home offering a large hallway leading to a dual aspect living room with a feature window and French doors to the rear of the house. The open plan kitchen/dining room comes with an integrated fridge freezer and dishwasher and a second set of French doors to the rear garden. This home also includes a separate dining room. perfect for entertaining family and friends. On the first floor you will find four bedrooms, with the largest benefitting from fitted wardrobes and an en suite shower room with double shower tray. Bedrooms two and three have a Jack and Jill en suite which includes a double shower tray, whilst the family bathroom includes a white suite. A utility room, cloakroom and double garage completes this family home. Hinstock is a popular Shropshire village located just off the A41 between Newport and Market Drayton. The village has a well-regarded primary school and post office/shop. More amenities such as independent shops, supermarkets and leisure facilities can be found at Newport and Market Drayton. Stafford mainline station provides a regular service to London Euston, from 1 hours 17 Mins, Birmingham and Manchester, while the A41 is a commuter link to the A5, M54 and M6 to the West Midlands. From Newport take the A41 north towards Whitchurch. At the village of Hinstock turn right onto the A529 and Woodfields can be found in front of you.